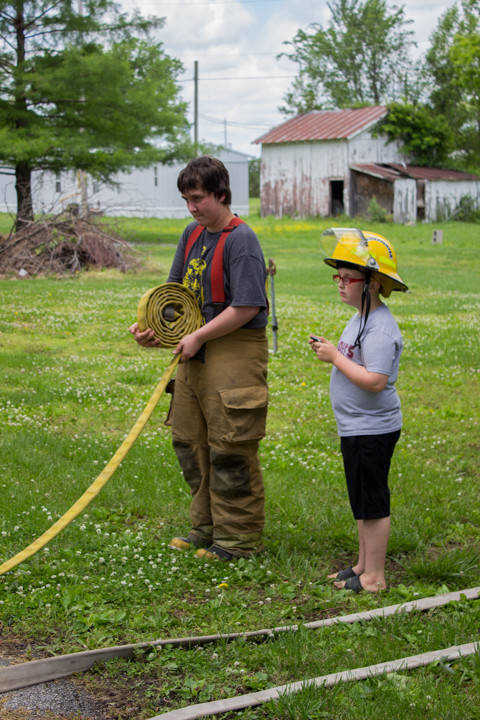 Junior firefighter Cory Williamson and his little brother J.D. 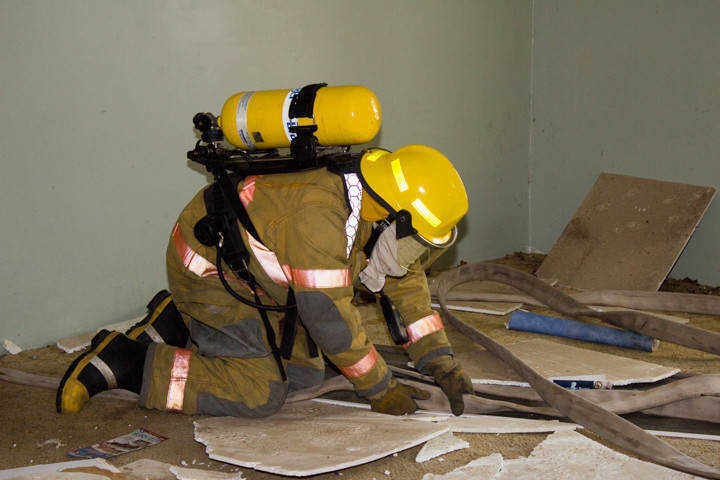 May help roll hose after training. Firefighter Tommy Richards III in one of firefighting's less glamorous tasks, rolling hose. 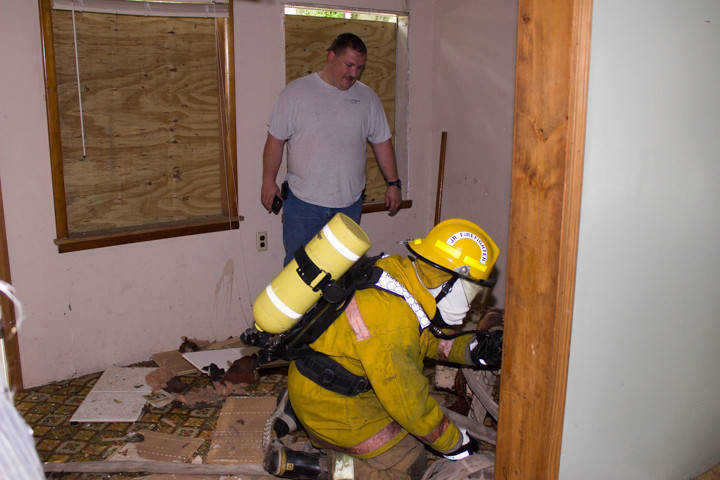 Sheldon firefighter Brandi Nance enters the hose maze evolution. Nance is also a career firefighter with Nevada Fire Department. 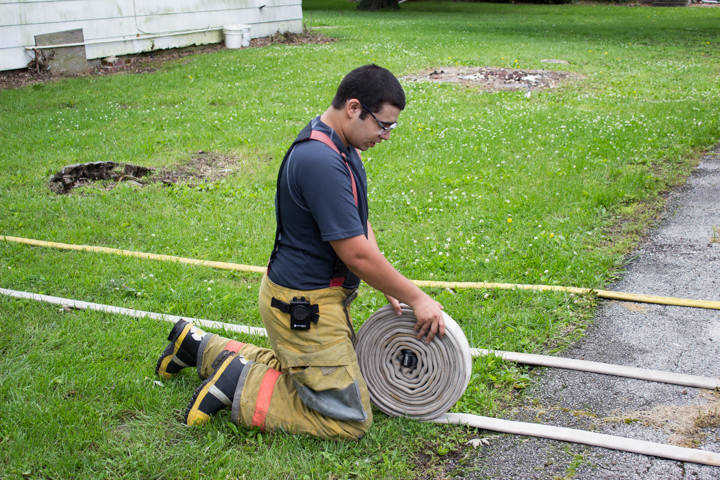 Training officer David May coaches his son, Cory Williamson, through the hose maze. 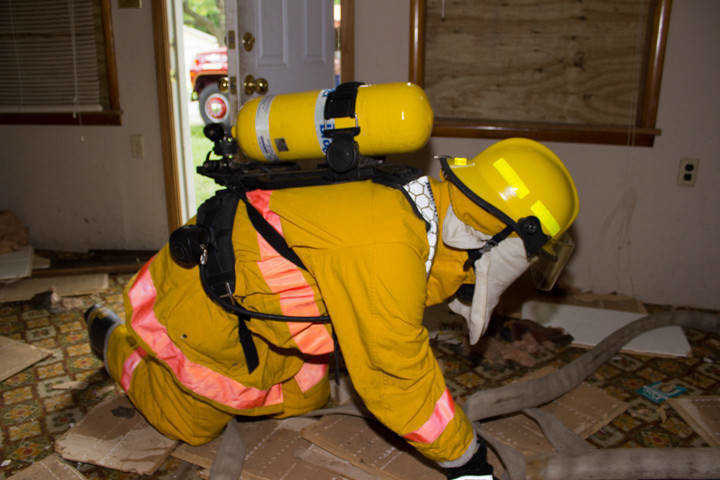 Wearing hot and restrictive "bunker gear", a 25 pound SCBA, and thick firefighting gloves, Tommy Richards III works his way through the hose maze evolution. 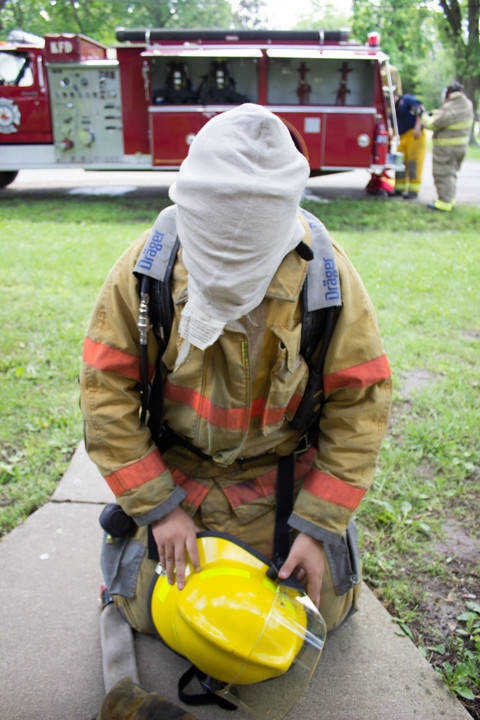 Placing their fire resistant hood on backwards effectively simulates the zero visibility situations found in many fires and is a common training tool for firefighters. Pictured: Tommy Richards III. 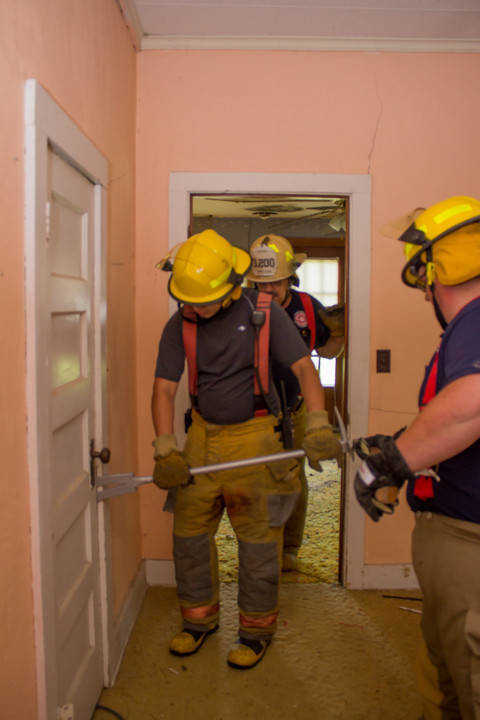 Sheldon's firefighters practiced forceable entry Saturday using a flat head axe and halligan bar to open a locked door. From left: Tommy Richards III, Chief Bill Jeffries, Dustin Rogers. 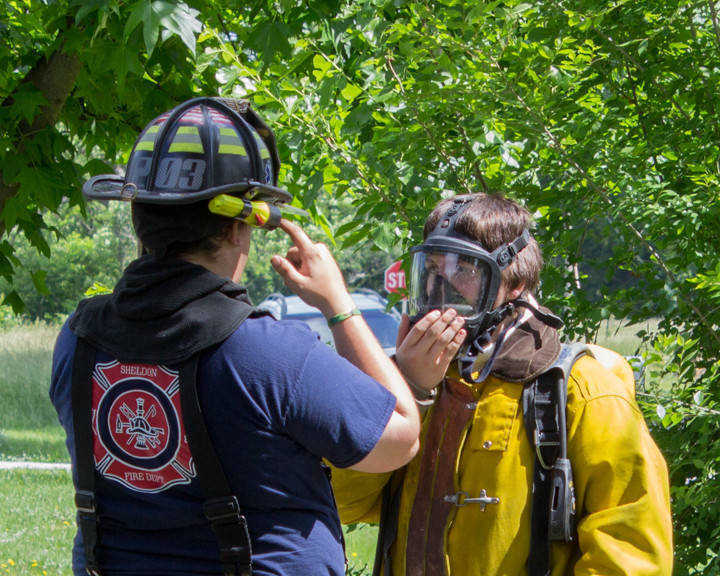 Sheldon Fire Department Captain Josh Jeffries instructs junior firefighter Cory Williamson in how to use a self contained breathing apparatus, or SCBA.